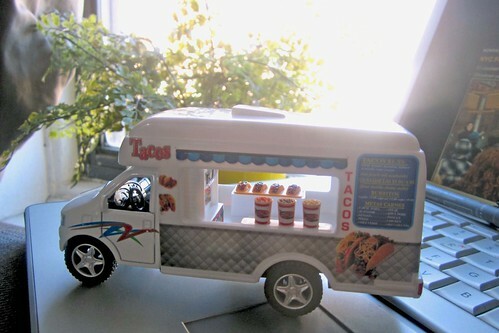 I was at Rite Aid the other day and spotted this toy taco truck amongst the sea of Hot Wheels and had to buy it. Who can resist tacos??? This spring, there will be many lunch days basking in the sun of Petrosino Square with La Esquina tacos in hand, bike rides to Sunset Park for Tacos Matamoros, and lazy weekends at Red Hook Food Vendors for Martinez Country Boys' huaraches! If you have a thing for tacos as well, visit Taco NY blog for their reviews of tacos around New York.